Imagine Primal Scream and Happy Mondays had children genetically fused with the DNA of Frank Zappa, Bob Marley, James Brown and Neil Diamond, and you might just get somewhere close to the universe that is inhabited by the Dijons. A cult Glasgow band who have built a huge following, selling out the Barrowland ballroom 3 times, and claiming the mantle of arguably Scotland’s favourite festival band. 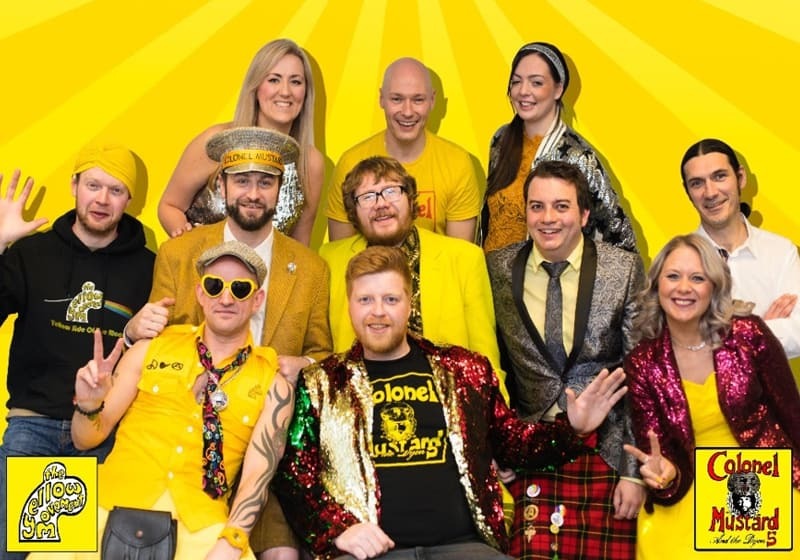 Their live shows have included crowdsailing in rubber dinghies, crowdsurfing on inflatable alligators, Dijunicorns and flamingos, laughter yoga, hug-offs, dance-offs, singalongs about dancing in gay discos and being heartbroken by ginger people, line dancing and high 5ing to the beats. Expect the unexpected when The Dijon Family come to town!